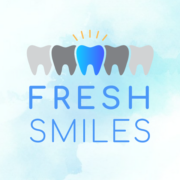 Fresh Smiles is a brand new dental practice located on Germantown Pike in Plymouth Meeting. Dr.Bower and his team are on a mission to make your family love coming to the dentist! The office features massage chairs, a coffee bar, kids play room, 3D printers and more. We love what we do, have a ton of fun, and look forward to serving up many smiles for the Plymouth Township area.